Matt began building gardens in 2008 when he ran “the Farm” in San Antonio, Tx. Him and garden mentor Nick Keel, built the farms garden and taught workshops on gardening, permaculture, and other DIY topics there. 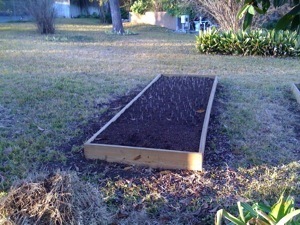 Now, Matt has designed and built many gardens in the San Antonio. The gardens have spanned from big custom beautiful living installations with herbs, veggies, fruit and trees, with simple irrigation, to edible and native low water landscapes, to small raised boxes and even in-ground plantings. Prices have been between $184 and $4000. He will consult with you to get you the ideal situation for your lifestyle. Call 210-863-6389, or email at Contact Matt for more info. A rock lined, eat-in, garden. 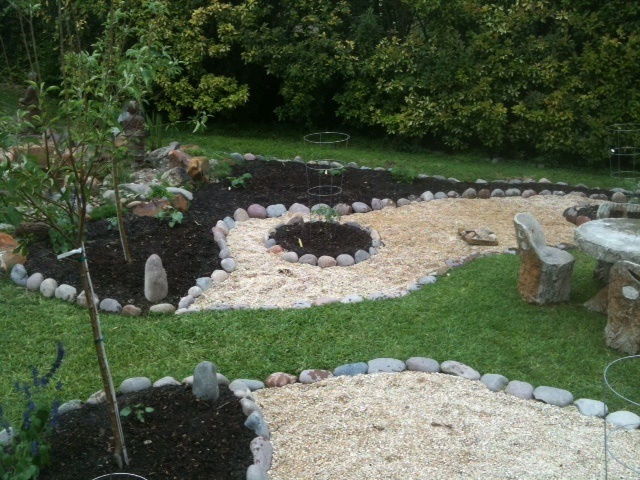 Rock pathway, multiple planting areas. Integrated into landscape. Apple trees.